I have long believed that of the many instruments that help to bring a great song to life, the human voice is capable of the most expression (sleigh bells come in at number two, in case you were wondering). Moreover, the magic that results from a group of people who come together to make a glorious sound that resonates with an audience is incontrovertible proof that music is the fuel that makes the cool kids sing. The cool kids sang rather sweetly in 2014, a great year for melodic pop music. Whether driving the beat of a song or singing in five-part harmony, artists were inspired to create lasting art in the form of two-, three- and four-minute songs that added value to people’s lives. There is a reason–probably more than one–that great songs stand the test of time, some sounding as fresh as the day they were born, even decades after they were recorded. And make no mistake–many of the songs that made their way to turntables and CD players this year have that kind of staying power. Even after 20 years of writing about and broadcasting pop music to the masses, I am still dazzled by much of what I hear. The thrill of discovery is present every time I sit down and prepare to listen. I want every note that fills the room to explode with joy. And, more often than not, I am rewarded with that certain something that drives me to play music on the radio and gather words together to communicate that joy. For me, the magic is still alive and well and lighting my world. And now, in no particular order, please join me in ushering in the Stars of ’14: Pure Pop Radio’s Favorite Records of the Year! Joe Sullivan | Schlock Star Coming seemingly out of nowhere, Joe Sullivan and his debut album, Schlock Star, knocked me clean off my feet. Joe’s keenly observed pop songs, about girls and boys and boys and girls and other related topics, are perfect examples of the arts of clever songwriting and performance. In my review of this album, published on September 2 on this site, I said that “Sullivan makes tracks that stick and stack up for imminent replay.” I also stated, without reservation, that “This is Sullivanmania, attended by screaming fans who dig the sounds of one of the best records of 2014.” No doubt you’ll be hearing a lot more about Joe in the coming years. Joe, as you may have already figured, is the real deal. Marti Jones | You’re Not the Bossa Me What I know about bossa nova music could fit on the rightmost quadrant of the head of a pin, but thanks to Marti Jones’ radiant album that adds more than a splash of melodic pop to the turntable, I’m something of an expert. Well, not really, but I know what I like and I like the latest chapter of Jones’ music a lot. When I added all of these songs to the Pure Pop Radio playlist on July 9, I said in my playlist report that this is “pop music for discerning listeners….” And indeed it is. 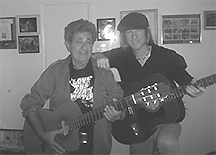 I also noted that the songs, “written by [Kelley] Ryan, [Don] Dixon, Bill DeMain, [Paul] Cebar and others, are brought to life with Jones’ magical voice. Jones has never sounded better.” It’s always a celebration when Jones releases a new album. If you think this one is great, well, just wait until the next one spins. The Legal Matters | The Legal Matters Some albums feel right after only a few notes play. And when the harmonies kick in–when the melodies surround me and take me to some other place–I’m putty in the musicians’ hands. Such was my experience with this debut album by three well-known musicians who came together to form the Legal Matters. In other words, they’re the Rockpile of the melodic pop world. It’s all in the music, I said in my July 23 feature review; the “harmony-drenched law firm of [Andy] Reed, [Chris] Richards and [Keith] Klingensmith” delivers the goods. This is “good, good music for when the snow falls, for when spring turns to summer, during a light rain, and for when fall signals the end of baseball season and the year moves into its closing phase. It’s good for what ails you, a prescription that works wonders no matter the season or circumstance.” It’s really great, and it’s one of my favorite records of 2014. Ed Woltil | Paper Boats, A Reverie in Thirteen Acts The beautiful songs that populate this wonderful album from the Ditchflowers’ Ed Woltil are a wonder to behold. Melody is king and beauty is on display in each of the melodic gems currently playing in rotation on Pure Pop Radio. Whether he’s wearing his straight-ahead pop hat on the catchy “Algebra” or crooning softly and emotionally on the beautiful waltz, “Dance With Me One More Time,” Woltil is capturing our hearts. I called this a hall-of-fame-worthy release when I wrote about it in my July 9 station update; four months later, its position remains unchanged. A stellar release from a huge talent. Dave Caruso | Cardboard Vegas Roundabout When I reviewed this album on September 17, I testified, up front, about it glorious wonders: “This kind of thing, this magical musical mixture exhibiting the tasty influences of Barry Manilow, the Carpenters, the Beach Boys and, hey why not, Paul McCartney, is a thing of beauty, an artful excursion that can and will enrich your life, take you to your happy places and prove to you that good things absolutely do come in all manner of packages–small, medium, large and beyond.” What more do you need to know, except that these songs should absolutely have a place in your life. Caruso’s Beach Boys/Carpenters homage, “Champion,” alone makes this album a worthy purchase. Cardboard Vegas Roundabout is so good and so tasty that many of the other CDs in your collection will aspire to achieve its greatness. Simply fantastic. Bill Lloyd | Reset2014 Bill Lloyd has been a huge part of the Pure Pop Radio playlist since his career-making Set to Pop was released in 1994. On the occasion of the album’s 20th anniversary, Bill has recreated that mind-blowing collection with wonderfully-updated remakes and early and live takes. Reset2014 is as much a look back as it is a reinvention. 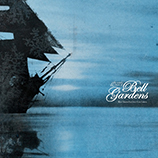 “On the list of Best Records Ever Made,” I noted in my October 29 review, “Set to Pop must sit comfortably alongside similarly great waxings drawn from the catalogs of other great artists.” “With Reset2014,” I wrote, “Bill Lloyd has taken pause to smell the roses from 20 years ago and replant them for future generations.” This is such a great achievement from one of pop music’s greatest artists. The Britannicas | High Tea Album number two from this international melodic pop supergroup checks off many of the must-haves on power pop fans’ lists: Byrds musings, gorgeous balladry, jangle, harmonies and hooks galore. Veteran U.S. popster Herb Eimerman, who we’ve been playing on Pure Pop Radio for somewhere in the neighborhood of18 years, Australia’s Joe Algeri, and Magnus Karlsson from Sweden have served up a spot of High Tea that all told constitutes a truly classic collection. Myrtle Park’s Fishing Club | Nothing to Be Afraid Of A total surprise, this is perhaps the brightest, most inventive, most sincere and happiest-sounding melodic work of the year. Kate Stephenson, trading under the delightful band name Myrtle Park’s Fishing Club, had written a range of songs that recall the best of the Roches, the Dream Academy and Prefab Sprout, but come alive as uniquely her own creations. The deeply-felt, dense harmonies alone are more than worth the price of admission. Plus, the artwork and hand-lettered lyrics in the accompanying booklet prove that the album package is still alive out there in the world. One of the most truly special albums of this or any other year. Robert Crenshaw | Friends, Family and Neighbors Speaking of truly special albums, here is one from the great Robert Crenshaw. “One of the sweetest surprises of the year is this joyous celebration of the love of the clever, catchy song,” I wrote in my October 30 feature review. Pairing a couple of covers, including one of Hank Williams’ “I’m So Lonesome I Could Cry,” which features Marshall, Dean and John Crenshaw, with seven originals and a surprise bonus track, Crenshaw turns in his best album to date, tackling such diverse subjects as “…the upside of improbability (the lovely, hymn-like “The Night the Detroit Lions Won the Super Bowl”), familiarity in the face of love (the Bill Lloyd co-write, “You’re So Hip to Me”), detachment versus reality (“What if I’m Really Dead?”), and hiding behind the wall of booze (the gospel-tinged “Turn to Booze”).” A wonderful album, beautifully realized. The Rubinoos | 45 In my November 10 feature review, I wrote that “this latest album from the melodic pop band’s melodic pop band is a master class in songwriting and performing that should be at the top of your holiday gift-giving lists.” 45 is stone-cold triumph–a standout album in a career teeming with them. Among the treasures on offer, besides the great voice of Jon Rubin and some of the best harmonies on the planet, is one of the best tracks recorded by any artist this year–a lovingly-rendered a cappella (with percussion) version of Lou Christie’s classic, “Rhapsody in the Rain,” that will make the hairs on the back of your neck stand on end and drive you to recall the classic sound of Frankie Valli and the Four Seasons. Tommy Dunbar originals like the buoyant “I Love Louie Louie” and the upbeat “Countdown to Love,” which tips its hat to the Paul Revere and the Raiders playbook, are modern day classics. Long may the Rubinoos run. Peter Lacey | Last Leaf Tender and loving and from the heart, Last Leaf bristles with warmth and genuine emotion. Lacey harkens back to his folk roots, taking inspriation from ” the circles of everyday, country life: on patches of grass surrounded by sprouting trees, and by the water, on a calmly-stated lake. Lacey’s new songs are about the simpler, and more important, things in life; every element of this album is calm and soothing and powerful,” I wrote in my station update on July 7. Beautiful songs like “The Woodwind” and “Boy in the Rings of a Tree” populate this entire album, a treasure by any definition of the word. Kylie Whitney | Something About Ghosts With a soulful approach and a refreshing touch of honesty, Kylie Whitney has released a classic-sounding album stocked with a wide range of emotions, all conveyed with authority. Although the album is chiefly comprised of originals, most of which were co-written with producer Michael Carpenter, Whitney does deliver a tender read of Don McLean’s “Vincent.” “Bad News Baby” finds Whitney in fine ’60s girl-group mettle, and “Tealite” shines an emotional light on her somewhat fragile vocal. Everything here points to a singer with a bright future. mylittlebrother | If We Never Came Down One of the coolest discoveries of the year. Here’s how I summed things up in my October 24 station update: “As perfect as a beautiful day in the country or a clear, wondrous night under the stars, mylittlebrother is a wonderful British band that specializes in lovely, clever, insanely catchy pop songs that capture the imaginations of listeners. Entrancing melodies, gorgeous harmonies and a sense of humanity make this album the find of the year.” The opener, the joyously hopping mid-tempo “Loves of Life, Unite!” and the early rock ‘n’ roll stroll-meets-Teenage Fanclub vibe of “My Hypocritical Friend” are only two of the musical pleasures to be savored. Wonderful. Sam RB | Finding Your Way Home Here is a truly lovely album full of truly lovely songs by a New Zealand singer-songwriter who makes truly beautiful music. Here is what I said in my October 28 station update: “Finding Your Way Home features Sam’s beautiful, expressive voice and songs with melodies that will melt your heart.” Sam sings her heart out in such standout tunes as the folk-pop “Blue Sky Day,” the wonderfully catchy, hit-worthy “Say Goodbye,” and the should-be-hitbound and equally impressive title song. Don’t be surprised if Finding Your Way Home soon finds its way to your home. The Dowling Poole | Bleak Strategies The perfect second act after the ashes of the much-missed band Jackdaw 4 had scattered, the Dowling Poole finds that band’s leader, Willie Dowling, teaming up with veteran musician Jon Poole for a similarly imaginative trip down the pop music rabbit hole. Bleak Strategies is hardly a bleak affair, though; rather, it’s a wondrous, album-length expression of strength in the art of composition and performance, with seemingly millions of influences synthesized down to one shared point of view. Full of surprises and all manner of left and right turns, this is your one-stop-shop for XTC-meets-10cc-meets-Kinks, Beatles and Frank Zappa-isms. Put simply, these are pop songs turned on their heads by two men fully poised to do the job right. Any album that segues effortlessly from banjo-fueled vaudeville to straight pop in the same song (the wild and wooly “Empires, Buildings and Acquisitions”) and lays their pop smarts bare with an early-to-late period XTC-like romp (the insanely catchy “A Kiss on the Ocean”) deserves your rapt attention. Grand. Edward O’Connell | Vanishing Act Four years on from his 2010 debut, Our Little Secret, Edward O’Connell returns with, not surprisingly, another great record. In our July 10 station update, I wrote that “Vanishing Act is everything a great melodic pop album should be and then some.” Songs include the insanely catchy “My Dumb Luck” (with its George Harrison-esque slide guitar lines), the equally infectious “Severance Kiss,” and “Lonely Crowd,” with a decidedly Tom Petty vibe. With not a single note or clever lyric wasted, Vanishing Act is one of this year’s greatest musical achievements. Linus of Hollywood | Something Good Something great is more like it. “Nobody does it better,” Carly Simon once sang, and she might as well have been singing about Linus. His duet with the lovely Kelly Jones on the charming “If You Don’t Love Me You Gotta Let Me Go” is, all by itself, worth the price of admission. His gentle cover of Kiss’ “Beth” breathes new life into the old classic rock staple, putting added emphasis on the melody as welcome, real strings set the song aloft. Spectacular music, catchy as all get out, all the way through. Dana Countryman | Pop 2! The Exploding Musical Mind of Dana Countryman Dana Countryman turns the clock back to the panoramic 1970s as the Wayback Machine collects the songs that form the soundtrack of your life–if you’re a sweet, melodic pop fan, and by reading this you might as well flash yout membership card at the door, this is for you. Nobody does this kind of thing better than Countryman, who celebrates “…the kinds of songs they just don’t write and record anymore. His influences, from Gilbert O’Sullivan and Eric Carmen to the Beatles and beyond, are worn on his sleeves and [are] bathed in his own, unique approach to songwriting and production.” That was my take on this album in my review from October 7. If you’re looking for a warm, musical glow to light your way, then look no further than this collection. 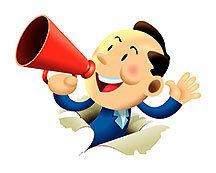 It’s like what used to come out of transistor radios a long, long time ago, but it’s now coming from the here and now. Pop 3!, please. Mothboxer | Sand and the Rain Mothboxer’s Dave Ody wears his heart, and his influences, on his sleeve on this wonderful new album. Mothboxer just keeps getting better, and this album is their best yet. The influence of the Beach Boys is apparent, however subtly, on the lively and engaging “In the Morning” and the enticing “Looking Out for Summer.” The title cut is clever, technicolor pop. The driving “We’re All Out of Our Minds” is upbeat and rather catchy. Overflowing with great songs, Sand and the Rain is a clear winner and, not surprisingly, one of the best albums of the year. The Solicitors | Blank Check Lee Jones’ energetic, widescreen pop songs, hooks always at the ready and raring to go, are fuel for the fire that is Australia’s the Solicitors. A wildly talented singer and songwriter, Jones, along with guitarist Laf Zee and crew tread towards the listener with equal parts vim, vigor and melody. The band means business and their business is clear: knock ’em down with Stiff-era enthusiasm and the joy of performance. One of these days, the Solicitors will venture away from Oz and hit American shores to spread their pop gospel. We patiently wait for that day, but until then we have this new album, one of the best of the year. We hope you’ve enjoyed our list of 21 of Pure Pop Radio’s favorite albums of the year. These are the Stars of ’14: 21 artists with great songs that will enrich your lives and guarantee your status as one of the cool kids. Which artists and songs will make next year’s cut? See you in about 365 days for the answer to that question and many more! Thanks for reading, and thanks, as always, for listening to Pure Pop Radio! 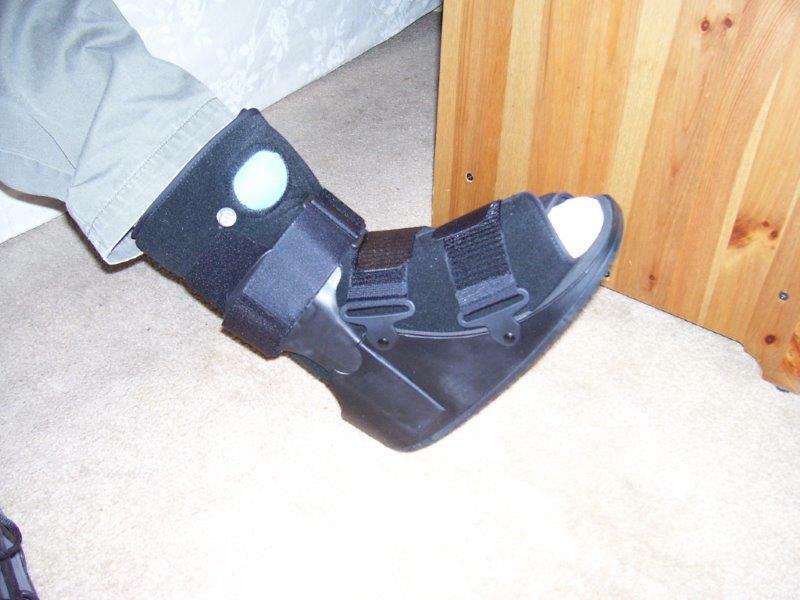 Well, just my foot…my left foot, to be precise, and it’s not too big–just in flux. I’m getting it operated on tomorrow, and after a few days’ rest, I’ll be back, fingers to the keyboard, writing about great melodic pop music and adding new tunes to the Pure Pop Radio playlist. See you back here next Tuesday, November 18, for our first annual Favorite Records of the Year feature, entitled Stars of ’14. This is my list of 20 of the best pop records of the year, and you won’t want to miss it. Until then, I give you Fountains of Wayne to play me out with “Hat and Feet,” a Looney Tunes-esque worldview that came to mind only because it’s about feet and, of course, hats, and, well, there you go. Are There Tears on Your Pillow? 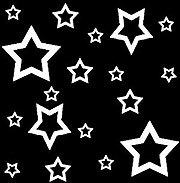 Better Check: Tonight’s Every Little Thing Cries Out for Your Presence! Don’t cry! Or, perhaps, maybe we should be telling you that crying, especially during the third, themed segment of tonight’s edition of Ken Michaels’ Every Little Thing, is okay, because that third segment focuses on Beatles and solo Beatles songs with the word “cry” in the title. The water works will be flowing tonight at 9 pm ET on Pure Pop Radio. In tonight’s third segment, Ken spins an early version of George Harrison’s “Woman Don’t You Cry for Me,” the Beatles’ “Cry Baby Cry,” and Paul McCartney’s take on “Try Not to Cry,” amongst other cool tunes. It’s another not-to-be-missed theme set from the mind of Ken Michaels! That’s all for you tonight on your weekly meeting place for fab tunes and Beatles chit-chat, Ken Michaels’ Every Little Thing. The fun begins at 9 pm ET on Pure Pop Radio. Enjoy! 2014 has without question turned out to be a particularly great year for melodic pop music, and as in many previous years, the last few weeks have been top-loaded with sterling releases that prove that any time is a great time for great tunes. 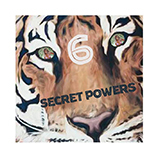 Secret Powers | 6 Montana’s own power pop magicians are back with their sixth long-player, a delectable collection of–let’s not be shy about it–instantly enjoyable pop songs with surprising turns and the kind of melodies that only come from seasoned, natural talents. Ryan “Shmedly” Maynes and crew have outdone themselves with nine brilliant slices of smile-inducing pop that exhibit more than a hint of Jeff Lynne in their DNA. From the ELO-ish “Spare Parts” to the opener, “Bitter Sun,” with its lovely choral section, and the Stiff label echoes of “The Way the Story Goes,” this is the hot pop potato of the moment. We’re playing the entire album in rotation: all of the aforementioned tracks, plus “Palarium,” “Reservoir,” “She’s Electrical,” “Paula Brown,” “New Moon,” and “Ready to Get Old and Die.” A wonderful, late year surprise. 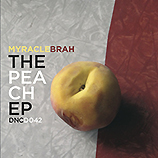 Myracle Brah | The Peach EP Imagine our complete surprise to find that one of the first bands w e played religiously on the old, weekly Pure Pop Radio show had released a brand new EP, a fantastic quartet of recordings that does no less than restore your faith in the power of power pop (we’re playing all of them in rotation). Andy Bopp and crew have come up a clear winner with the Big Star-influenced “Sleeping in My Car”; the mid-tempo ballad “Alicent in Time” (complete with great harmonies); ” the psych-pop instrumental “Red Eye #2”; and a lively, lovely cover of the Troggs’ “With a Girl Like You.” We’re playing all four songs in rotation. Side note: Bopp has released a solo EP called Time to Rock that pays tribute, in glorious one-track-mono, to the early days of rock. End-of-the-year presents for music fans everywhere! Deadbeat Poets | Hallelujah Anyway The latest, just-released long-player from Deadbeat Poets glistens with a wide variety of pop ‘n’ roll tunes that position them at the top of the beat-meets-melody ladder. We’re playing eight great songs from this exciting record: “Baby Doll,” “Love Is On the Right Beat,” “Getting Over You,” “Johnny Sincere,” “A Dark-Haired Girl in Piccadilly Circus,” “The Bag I’m In,” “There Ain’t No One But You,” and “Falling Without Annette.” A terrific record all the way through. 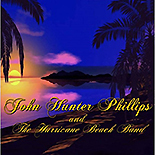 John Hunter Phillips | John Hunter Phillips and the Hurricane Beach Band Here’s the best Beach Boys album released in 2014, from a man who’s not actually in the Beach Boys, but has sung on stage with the band. A tremendous singer who understands and can inhabit the Beach Boys sound like no one else in recent memory, Phillips has recorded a wonderful album full of Boys of Summer-esque songs, from the glorious, harmony-filled “Darlene” to the clever and catchy tribute to the individual Beach Boys, “Dennis, Carl, Alan, Brian, Bruce and Mike (and David)” that features outta site harmonies and a great melody. The limited, deluxe edition of this album includes a second CD jam-packed with alternate versions of the songs, including a number of a cappella takes that will blow your mind in all directions. We’re playing 15 tunes, including “Stay in Kaneohe,” “Back in Hawaii,” “Backseat Driver,” “Darlene,” “I Don’t Feel Bad Anymore,” “The Girl in the Rearview Mirror (2014 Driving Version),” “The Ghost of Hurricane Beach,” “If We Ever Need a Super Man,” “Not So Fast,” “You Can’t Do It Alone,” “I’ll Get Right Back to You” (a duet with Pure Pop Radio favorite, Dana Countryman), “Dennis, Carl, Alan, Brian, Bruce and Mike (and David),” Back in Hawaii (a cappella),” “Backseat Driver (a cappella),” and “Love’s Song.” Superb. 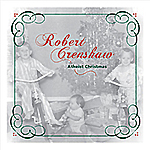 Robert Crenshaw | Atheist Christmas Hot on the heels of adding to our playlist the whole of Robert’s new album, Friends, Family and Neighbors, we’re adding three songs from his 2012 EP. You’ll have to wait until our second annual Christmas Extravaganza, beginning at noon ET on Christmas Eve day, to hear the title cut, but the second, third and fourth tracks are now spinning in rotation, and they’re typically wonderful: “Breakdown in the Passing Lane,” “23 1/2 Degrees,” and Neil Young’s “Don’t Let it Bring You Down.” We’re happy to be playing so many treasures from Robert on Pure Pop Radio. 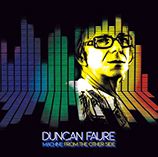 Duncan Faure | Machine from the Other Side We’ll have more coming from the great Duncan Faure in the near future, but for now dig four wonderful pop songs that put the spotlight on Duncan, a pounding, percussive piano, and a decidedly strong, early Elton John influence: “Billy in the Big Band,” “Hullo Baby,” “Leaves,” and “England Doesn’t Sleep.” Great stuff. That’s it for today. As hinted above, we’ll be taking a bit more than a week off while Alan undergoes and recuperates from surgery. We’ll be back on Tuesday, November 18 with our first annual Favorite Records of the Year: Stars of ’14 feature. See you then! And, while we’re gone, keep listening to Pure Pop Radio (listening links below). More Music! More Music! More Music! Go, Cat…Go! We’ve Added More New Tuneage to Our Playlist! What’s Up, Pussycat? Bill Lloyd | Reset2014 We gave a rave review to Bill Lloyd’s super-great 2014 interpretation of his 1994 classic, Set to Pop (read it here). This quite wonderful look back, within which the entire original album is recreated with remakes and early and live takes, is now available to the masses, so give a big group hug to the latest release from one of music’s top innovators and musical journeymen. We’re playing all 17 songs in rotation: “I Went Electric” (remake), “This is Where I Belong” (remake), “Trampoline” (early mix), “In the Line of Fire” (remake), “I Know What You are Thinking” (live), “Forget About Us” (remake), “Alright” (early recording–never before released), “The Man Who Knew Too Much” (remake), “Niagara Falls” (live), “In a Perfect World” (remake), “The S.W.A.T. Team of Love” (live), “A Beautiful Lie” (remake), “Channeling the King” (remake), “Out of the Picture” (remake), “Anything Less than Love” (early mix), “Forget About Us” (early recording–never before released), and “Niagara Falls” (live at the Bluebird). Not to be missed. 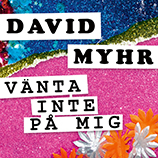 David Myhr | “Vänta inte på mig” (“Don’t Wait for Me”) Ever since his work with the merry Merrymakers began gracing our airwaves, we’ve been playing just about everything David Myhr puts out. This song, which will be heard during the upcoming romantic comedy, Micke and Veronica, releasing in Sweden this Christmas, will also be part of the film’s soundtrack. David has released this song as a single; we predict it will be a huge hit. It would have fit snugly on David’s album Soundshine. It’s another wonderful, catchy, melodic number as only David can write and record, and we’re now playing it in rotation on Pure Pop Radio. Now, that’s cause for celebration! 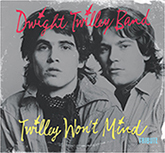 Various Artists | Twilley Won’t Mind Another of Zero Hour Records’ fabulous compilations currently making the rounds amongst pop fans worldwide is this humdinger of a disc, a tribute to the great Dwight Twilley, whose new album, Always, is now playing in rotation on Pure Pop Radio. Twilley Won’t Mind gathers together 23 covers of beloved songs from artists you know and love, and some who will be new to you. This is another fine example of the compiler’s art and should be at home in everyone’s collection of great pop music. We’ve added 11 tracks to our playlist: Honeychain, “I’m on Fire”; Donovan’s Brain (featuring Bobby Sutliff), “Sincerely”; Matt Keating, “TV”; Sitcom Neighbor, “Release Me”; Popdudes, “Baby Let’s Cruise”; Michael Carpenter, “Here She Comes”; Lannie Flowers, “That I Remember”; Jared Lekites, “Trying to Find My Baby”; Esa Linna and Neverheard, “Twilley Don’t Mind”; The Bottle Kids, “Chance to Get Away”; and Chris Silagyi, “Shark (In the Dark).” Another Zero Hour classic. 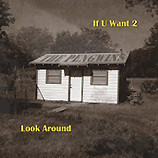 The Pengwins | “If U Want 2” Plus The second in a quite regal series of box sets culling together various tracks from the Pengwins’ rich history presents “If U Want 2,” “Look Around” and “Betty and Johnny,” upbeat power pop classics all. A fourth track, “If U Want 2 (Abbey Road Rage Version)” appears on the CD that comes in the box with a colored vinyl 45, a guitar pick and all sorts of other goodies. The first three? We’re playing them in rotation as we type these words. The Pengwins rule! 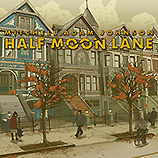 Mitchell Adam Johnson | Half Moon Lane From another favorite Pure Pop Radio band, Spencer McGillicutty, comes that group’s Mitchell Adam Johnson with a solo EP that is right up our melodic music alley. Half Moon Lane finds Mitchell in similar, McGillicutty-esque territory with four sterling examlpes of mid-tempo and ballad-style pop. We’re playing all of them: “Anyone Else,” “The Closing Door,” “Round and Around,” and “Abbey Brown.” Lovely. 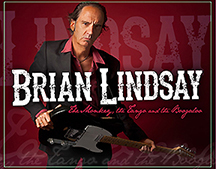 Brian Lindsay | The Monkey, the Tango and the Boogaloo We’re playing two hard-charging (well, as hard-charging as Pure Pop Radio gets) songs from Brian Lindsay’s new album: “Long Shot” (dig the decidedly Beatlesque ending!) and “Charley.” Tuneful and hot on the beat. Tim Anthony | “Never Enough” and “What’s It to You” Tim Anthony returns with two typically melodic pop numbers: the jangly “What’s It to You” and the upbeat “Never Enough.” We’re pleased as punch to be playing them in rotation on Pure Pop Radio. Not bad for a Tuesday, eh? We’ve got more new adds on the way. 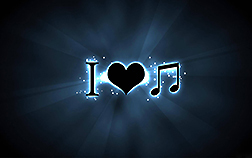 Keep a close eye on this very website for the latest new artists and songs joining the Pure Pop Radio playlist. And thanks for listening (and reading these updates!). Welcome to the wonderful, melodic pop music world of Pure Pop Radio. If you’re a regular visitor, it’s nice to see you back where you’ve always belonged. 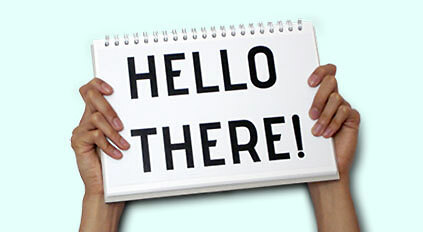 If this is your first time here, welcome…and we hope that you enjoy our show. This week, we may very well have another, all-new, in-depth review for you. We’ve got more new music that we’re adding to the playlist as part of our ongoing New Music Explosion (check back tomorrow). Hundreds and hundreds of songs have already been added, and there’s much more to come! Behind the scenes, we’re dotting the eyes and crossing the teas on our first annual list of Favorite Records of the Year: Stars of ’14, set to premiere here on Tuesday, November 18, just a couple of weeks away. The yearly gift-giving season is right around the corner; we hope our list will give you ideas about which music to give as gifts to friends and family and, of course, yourself, because you deserve some melody, some harmony and a good hook in your life, too! 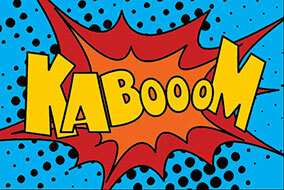 Next week, we’ll have a special announcement for you, but that’s a whole bunch of days away so, for now, look forward to this week’s offerings here on the Pure Pop Radio website, and we’ll see you in these pages and on the radio!